Few areas of East Tennessee are as well-known as Montvale Springs, on the side of Chilhowee Mountain. A log hotel was built on the site in 1832. Woodville, the first novel published in Tennessee, was written there by Charles Todd. In 1853 Asa Watson razed the log hotel and constructed an elegant three-story frame building with seven gables. Numerous cottages were built nearby. 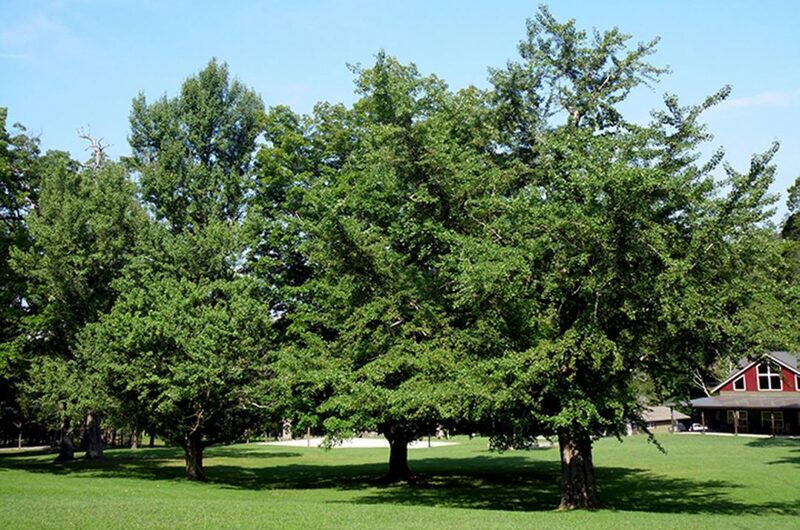 The 1850s grove contains cedars, baldcypress, and ginkgoes. Watson imported rare trees from Japan and California and planted them on the ten to twenty acres of the site. The Montvale Springs Hotel was the leading antebellum mineral springs resort in East Tennessee and the only major resort hotel built in the mountains of Blount County prior to the Civil War. It was so well known it was often referred to as the Saratoga of the South. The hotel burned in 1896, was rebuilt in 1898, and burned again in 1933. In 1947 the YMCA purchased the 364-acre property to use as a summer camp and ran one of the best-known camps in the region for fifty-nine years. The camp closed in 2005, and Harmony Family Center purchased the property in 2011. Many of the trees planted by Asa Watson stand on the property today.